Toasty Toez slippers are a great way to keep your feet warm. 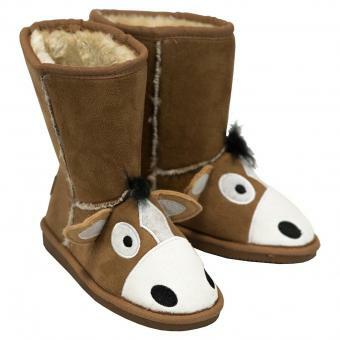 With a fuzzy fleece lining on the inside, a stylish faux suede on the outside, and flexible rubber soles. Kid sizes only.